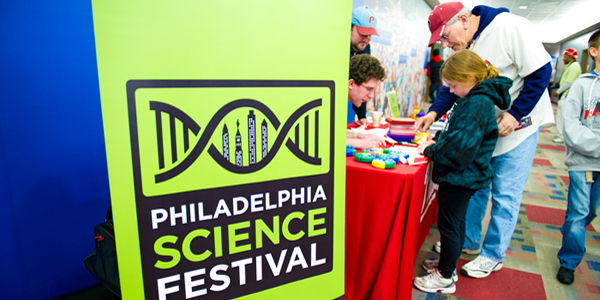 Calling all fans of science, brains and brew: the Philadelphia Science Festival starts now! Tonight kicks off the ten-day celebration with a carnival, where you can check out laser shows, 3-D printing and more, all with a Pythagorean Beerum in hand. And the CNS is in on the fun — check out the events below. We’ll see you there. Concussions have become a hot topic in the sports world in recent years. How do concussions really occur and what are their short and long-term health implications? More importantly, what changes will new research bring to the games we love? Hosted by Douglas H. Smith, Director of Penn Center for Brain Injury and Repair. Thursday, April 25, 6:00 p.m.
Mindfulness Meditation has been associated with a wide range of mental and physical benefits. But what is it about mindfulness and meditation that foster well-being and buffers against the adverse effects of stress, anxiety, and depression? A discussion about the growing body of research on this topic will be followed by a short, guided session of mindfulness meditation with CNS Managing Director Denise Clegg and Ilene Wasserman, PhD. Join this science spin on the seven deadly sins. Eat, drink, and be wary with talks and entertainment acts. Seven speakers will talk about the science behind the 7 sins, including Penn faculty Joseph Kable and Adrian Raine.